Please select a date of play to check availability on Praia Del Rey. The Praia D'el Rey golf course is an 18 hole course located overlooking the ocean close to Caldas da Rainha. Praia Del Rey is a championship course with a Par 72 that has twice in the past been selected for hosting the European Cup. The fairways pass through pine trees and then to open space with impressive views over a lagoon and to the blue of the Atlantic Ocean. 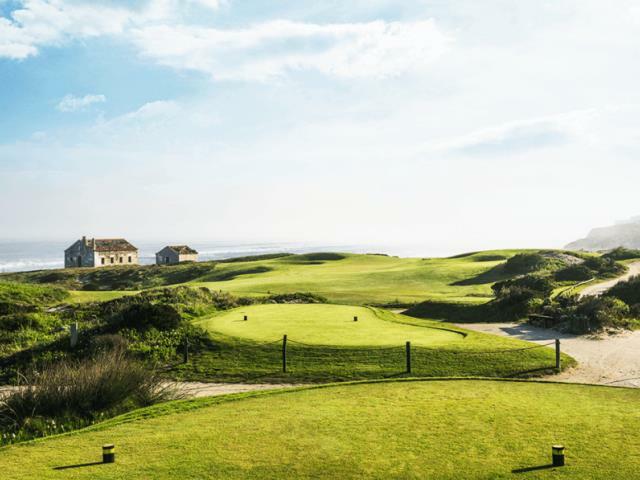 Praia Del Rey is in the true style of a Links Course providing a very enjoyable challenge, especially to those lower handicapped golfers. It is necessary for golfers to be in possession of a valid golf handicap certificate. Minimum handicap requirements are men 28, and 36 for ladies. The course was pretty wet. The wind comes in the game especially near the sea. Several openings are blind and fairways are narrow. The game went smoothly. Play a couple of times. Course in excellent condition considering the amount of recent rain. Must keep ball in fairway to score well as rough is deep and soft. Back nine has spectacular ocean views which also gives rise to winds making club selection interesting. Plan on playing again in the near future. 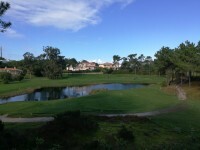 Very nice golf course.Staff is friendly and practice facility are okay. Had a good time . To post a review, score or a notice on Praia Del Rey page's or to connect with other Praia Del Rey golfers, please log in to your account or sign up using Google or Facebook.